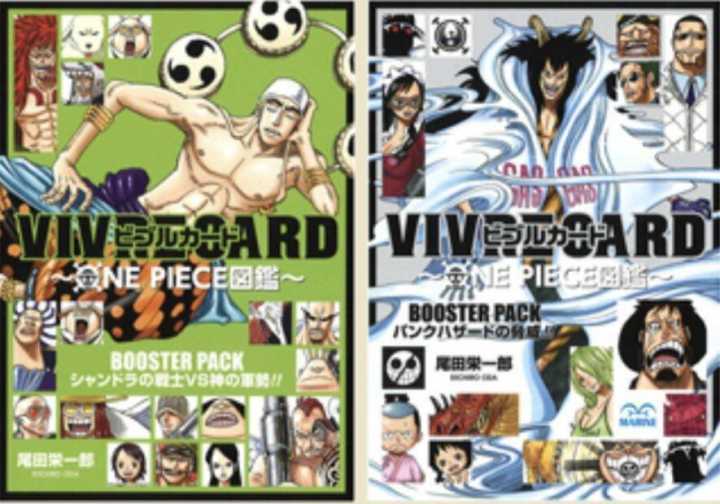 Vivre Card Databook | 8 | One Piece! W 151 odcinku, debiucie Tsuru, (tylko w anime), była przedstawiona jako "zastępca admirała floty, wielki doradca"
(11-03-2019, 06:10)wuzzek napisał(a): W 151 odcinku, debiucie Tsuru, (tylko w anime), była przedstawiona jako "zastępca admirała floty, wielki doradca"
Tsuru to sie nadaje, ale do zrobienia prania w kwaterze glownej xd. Jej glos pewnie tyle wazny co starszyzny w wiosce ukrytej liscia, pogada pogada, i tyle. 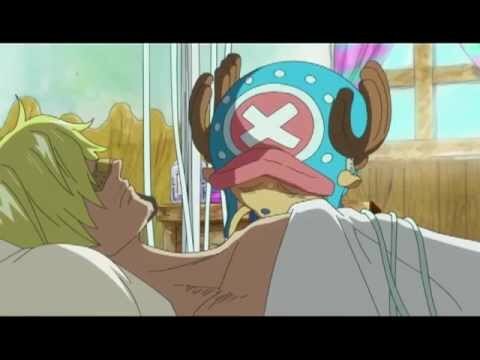 Podejrzewam, ze u boku garpa i segoku jest jak taka "nami" obok luffyego i zoro. Obstawiam, ze obecnie jest poziomie smokera. 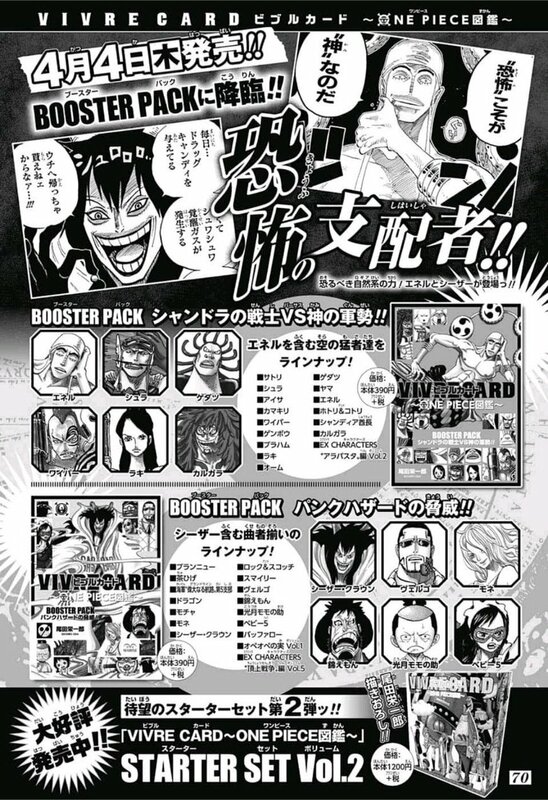 It will reveal Enel’s detailed profile and the secret behind Ohm’s sunglasses!! Sneaking in! The off limit island!! It will reveal the past of the Yeti Cool Brothers and Brownbeard’s real name!! World’s Best Shipwrights! The Galley-La Company!! Revealing the heights and favorite foods of the Galley-La company members and Franky family!! Ruler of Fear! The Donquixote Family!! 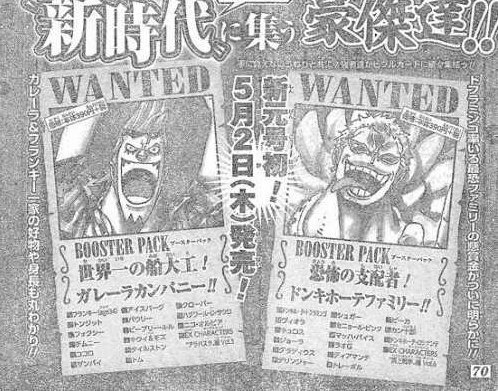 Finally, the bounties of the members of the most feared family, lead by Doflamingo, will be reveal!! Shooter with Sea stone A type of waver. It is loaded with sea stones that are considered to be processed in Wano Country. The City on the Moon•Birka What Enel saw on the moon, is the mural of the ancient city “Birka”. What’s fascinating is that this ancient city shared the same name with Enel’s destroyed Homeland, what’s their relationship…!? A giant goldfish that has grown up by eating a large number of islands, and it’s feces are long enough to be mistaken for an island. It’s something that actually exist and is call "island with nothing on it". Cytat: Calgara is a user of CoO. Cytat: The sea stone Wiper used was processed by the Wano Country. Cytat: Monet’s Appearance is due to Law’s ability. Cytat: Kinemon is a user of CoA and CoO. Dragon’s name The name, Dragon Number Thirteen, was given by the Celestial Dragons. The name comes from the fact that it's finally a success after the 13th experiment. Her real sister • Sugar 13 years ago Sugar was rescued along with her older sister and joined the Donquixote Family. She became an ability user afterwards. Conversation with Zunisha To communicate with Zunisha without using words, and can even shared its view. Luffy possess the same power as well, but Momonosuke’s seem to be stronger. The Yeti Cool Brothers’ timeline is already in my original post about their profiles.